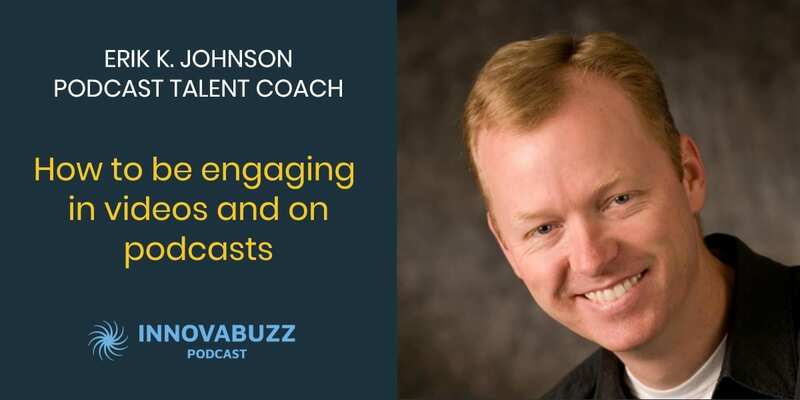 In this episode, I’m really excited to have on the InnovaBuzz podcast as my guest, Erik K. Johnson, The Podcast Talent Coach. Erik has been coaching radio air talent since 1995. By building relationships with audiences, he has taken multiple radio stations and radio shows to the top of the ratings. His writings teach people how to turn information into engaging entertainment and transform your podcast into meaningful, profitable relationships. The Podcast Talent Coach is dedicated to the art and show business of podcasting. 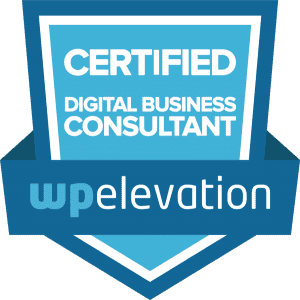 While other companies offer services that teach the technical side of podcasting, Erik and his team provide a coaching service focused on the personal side of the art of podcasting. Even if you aren’t a podcaster, what he teaches is applicable to any content or presentation, so strap yourself in for some entertaining and very informative education! Dave Jackon on episode 145 suggested we interview Erik. Podcasting is very similar to a radio talk. You can dive deep into some subjects that you really want to get into. Podcasting gives you a set of parameters and you are able to be creative within those parameters. You need to define why you even have a podcast, what you are trying to accomplish and your target listeners, then use those filters to create a powerful content that will help you achieve your goals. Audiences have different needs and the marketing message that you need to use to reach those people also needs to be different. You may target two different segments but you have to have two marketing messages unique to each segment. People learn through stories. Stories are powerful because they put the listener in the moment. Stories are powerful in audio even more so than a video because you can imagine the story in your mind in the way that it suits you best. Stories are memorable. When you tell a story, people will remember it. Stories are unique to you. If you want your podcast to stand out in this sea of sameness against everybody else, tell your stories. Start your story with a provocative point. Tell your audience where you are going and then tell your story. You can enjoy the details and fine elements of the story as you go along and it creates that anticipation. Your story is what makes you stand out from everybody else. You are uniquely you. Nobody can copy your story. Your story shapes your philosophy. It shapes your approach to the subject matter. Stories create the “know, like, and trust” factor through your authority in order to get people to do business with you. It creates a relationship. Doing the stuff you do so well more often naturally pushes out the stuff you don’t do so well. Find the things that you do really, really well and the things you love talking about, and do more of that. That creates a richer and more entertaining show. The only reason people listen to podcasts is for companionship. If it is not entertaining, it is not companionship. The relationship that you build through your podcast is all about friendships. All the data in the world is not going to create a relationship with anybody. You have to be entertaining. You have to be a storyteller and you have to reveal things about yourself on your show to turn your relationship into a friendship. That is how you get people to come back each and every week to listen to your show. Here are Erik’s answers to the questions of our Innovation round. Listen to the interview to get the full scoop. #1 thing to be more innovative – Try new things even if you fail. Try things, regroup, make some adjustments and try more stuff. Sooner or later good things will happen. Best thing for new ideas – Try new stuff. Expand outside of your circle. Favourite tool for innovation – Pen and paper. Excel spreadsheet – content creation planner. Have a little note taking device with you all the time because you will never know when or where the next idea is coming from. Keep project / client on track – Try not to give them a ton of things to do. Create 2 to 3 action items for the week. Figure out what is the next important step to reach your goal. Do that and move on to the next step. Differentiate – Tell your story. If you want to stand out in the sea of sameness, figure out what makes you different from everybody else, and that is your story. It is what makes you, YOU. Get outside of your own bubble. So many innovators try to just be better than the competition. In order to beat the competition, you need to be different. You cannot be better. A different shade of gray never wins. So get out of your bubble, go find ideas in other industries that you can adapt to your industry. That is how you will be innovative. That is how you will be different, and that is how you will win. You can reach out and thank Erik through his website, and on Twitter. Erik suggested I interview Harry Duran, host of Podcast Junkies, and Oscar Trimboli, host of the Deep Listening Podcast. So Harry and Oscar, keep an eye on your inbox for an invitation from us to the InnovaBuzz podcast, courtesy of Erik K. Johnson. Make your interviews stand out from the crowd. Get your copy of the 17 Ultimate Podcast Interview Questions. He is currently the Sr. Vice President of Programming in Omaha for iHeart Media. He is the Public Address announcer for the Omaha Lancers of the United States Hockey League. He is a USA Hockey certified Level 5 coach.